Of course, there are always baskets at Sainsbury’s. But they are nothing like the ones that Robert and Lisa Sainsbury collected for their World Art Collection which is currently housed in the architectural delight by Norman Foster that is the Sainsbury Centre for Visual Arts at the University of East Anglia. 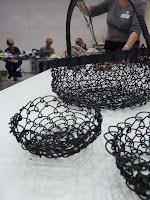 Some of their baskets are on show in the current exhibition, 'Basketry Making Human Nature' along with pieces from other collections, and some specially commissioned works. 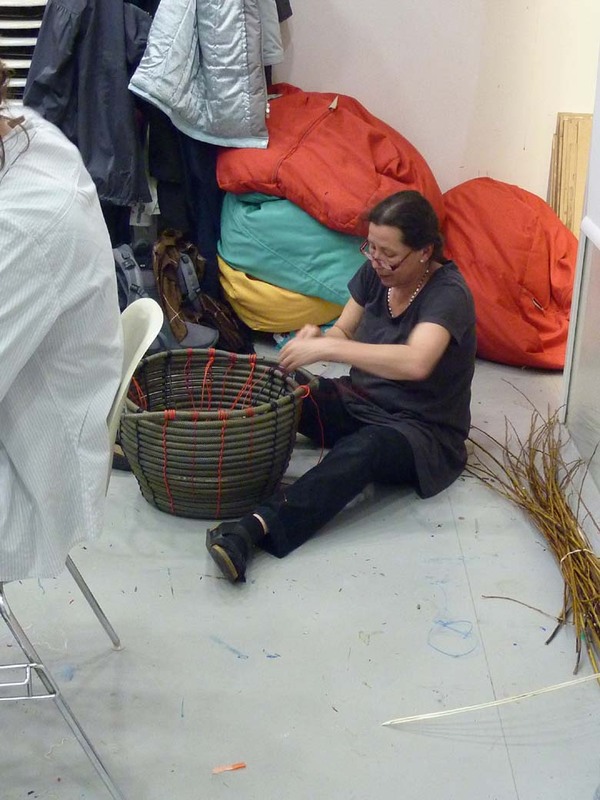 The curators, led by Professor Sandy Hislop, have put together a group of baskets and basketry that, they believe, have in some way, been instrumental in the construction of culture. It makes for a visually stunning exhibition even if only viewed in terms of the forms and techniques on display. Added bonuses were the documentary films. 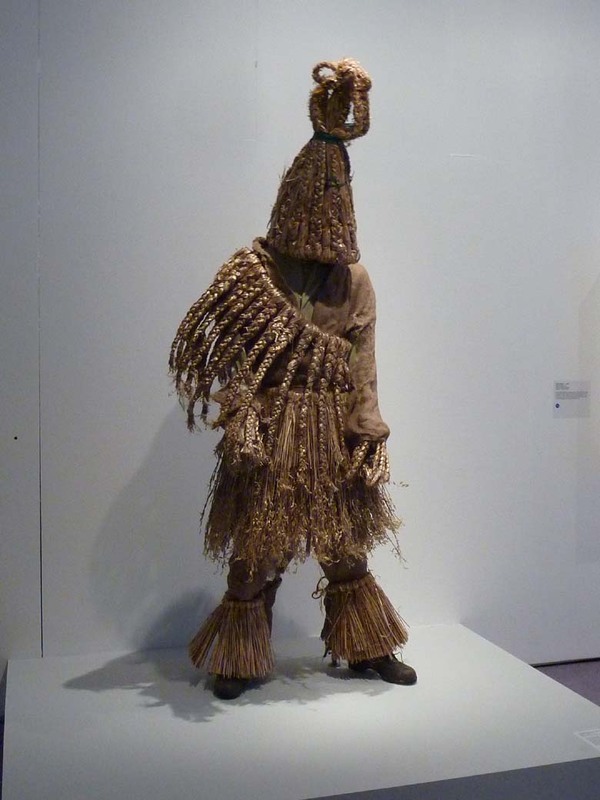 One recent film included a clip about rush weavers in East Anglia (probably recorded in the 1950’s or 60’s) where a very 'posh' woman managed to evade answering any of the interviewer’s questions whilst fiddling slowly with some rushes. Meanwhile a “Mr. Percy" who was obviously in the employ of the ‘posh’ woman silently wove a rush mat at the speed of light behind her. The interviewer, in keeping with the social mores of the time, did not ask Mr. Percy what he was doing but, instead, he asked the ‘posh’ woman what Mr. Percy was doing - a stereotypical sociological treat! The exhibition is on until the 22 May and sadly will not tour so try to catch it if you can. 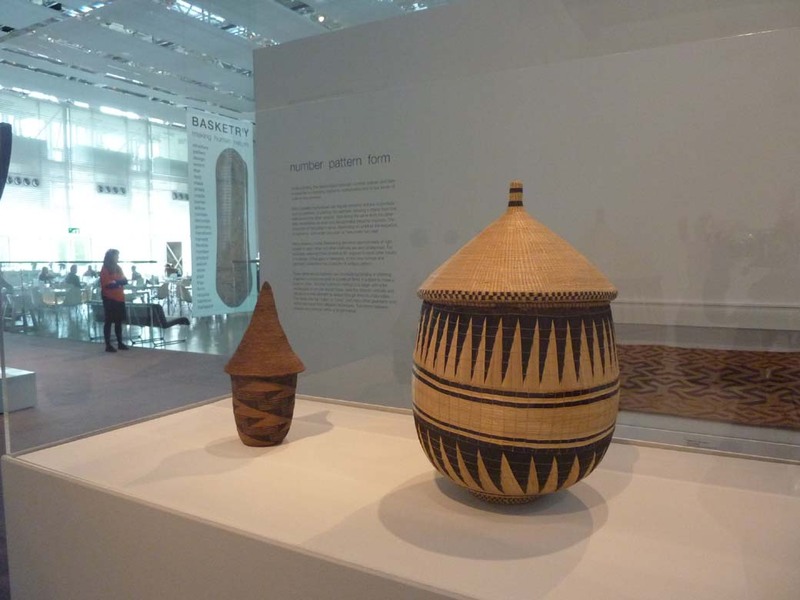 The degree to which baskets and basketry have been culturally constructive is a fascinating and highly debatable topic. 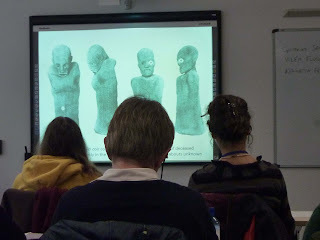 It was the theme for the multi disciplinary conference, 'Basketry and Beyond: Constructing Cultures' held at UEA last week and was explored intensively by the group of international speakers which included archaeologists, art historians, basket makers, environmental artists, ethnographers, biologists and neuroscientists - to name a few. It was mental gym of the best sort. My favourite topic, i.e. 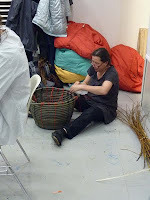 basketry explored in directions that I am unlikely to have considered in any other situation. It was high quality brain food and I came away exhausted but replete and very inspired in terms of thinking and making. It seems strange that one can come up with visual ideas after listening to people talk but it sometimes happens and is very exciting when it does. 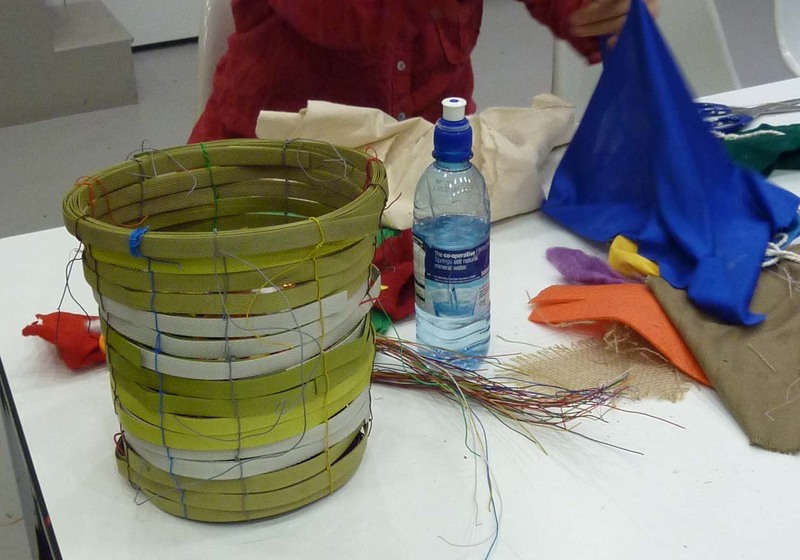 Prior to the conference I ran a coiling and looping workshop for two days at the Sainsbury Centre which resulted in some very creative experiments by the 15 students. It is always a pleasure to look at all the work at the end of these workshops and see how different each piece is. All the students are taught the same techniques but, because they have brought their own materials and personalities to the workshop, no two pieces are ever alike. In the ‘show and tell’ at the end of a workshop I ask the students to tell each other about their experiences over the two days and to comment on anyone else’s work if they want to. This is always rewarding to do. Invariably, someone in the group who seems to feel that they have not done anything particularly special, gets singled out by their fellow students, for having created something that touches them. Even though I may have said that I like what they have done, it always means so much more to that particular student to hear it from their peers rather than to hear it from me. One thing bothers me though why is it usually only women that come to these workshops? 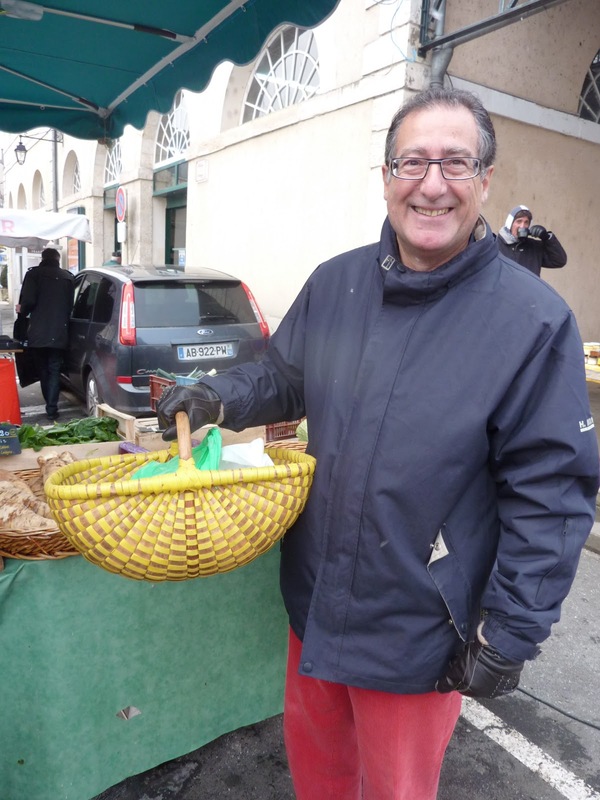 Man with a (very nice) basket at market! But where does that leave the shopping basket that is used by women, and some men, out of doors? 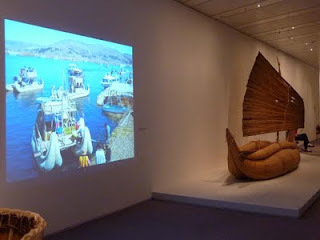 To see a complete list of exhibitions and events I have participated in please go to my web site. Those listed here are very recent or ongoing. 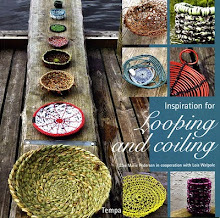 Published in cooperation with Else Marie Pedersen. For details of how to purchase a copy in English click the image.